OW welcomed everyone to the meeting. OW noted that he was chairing this meeting as a one off due to the change in sabbatical start dates. TM will be chairing the meeting in future as the new president and chair of the board. OW noted that Lisa Derand and Jess Wills had not attended a board meeting during this year. Minutes were approved with no corrections. All actions were complete apart from ones relating to CEO appraisal and external trustee recruitment and any ones relevant to September board meeting. OW will pick up the outstanding ones relating to appraisal and recruitment. JSm suggested that a call for papers and diary prompts would help remind trustees in future meetings. JS will coordinate a call for papers 21 days before each trustee board. JS presented the KPI’s in line with the strategy for 17-18. The board were overall happy with the direction of the KPI’s, although agreed that some are harder to measure than others. MB asked if it was possible to look at reviewing successes measures for each. JS will present something back for the first board meeting in September. OW asked the sabbs to review their manifestos alongside the KPI’s. JS will look to ensure that the structure of the CEO and sabbs reports will reflect successes of strategy. JS will also produce an operational plan and present to the board for information at the next meeting. The KPI’s were approved and agreed to delegate responsibility for monitoring these to the relevant sub committees. JS presented a final draft of the budget to be discussed by the board. JS highlighted that the budget reads a £25,000 deficit and there is a requirement for us to reduce the budget to become breakeven before approving. JS pointed out that there is a conversation with the university about bar management that has not been completed yet that could contribute to this. The board discussed in great depth the principles behind this year’s budget and agreed that the union’s financial position should be based on a break even budget rather than a deficit budget as in previous years. The board discussed whether running the budget on a small deficit was a sensible approach, however it was felt that it would be counterproductive and unsustainable in the long term to continue to rely on the reserves to support losses in the budget. The board agreed that they support the continued release of reserves in line with the previous September board meeting. It was agreed that £15,000 would be released again for clubs and societies and this deficit is considered a balanced budget, as it is a planned reserve release. JS presented the budget and went through assumptions that had been made to make the budgetary target. The board challenged the income targets and whether they were achievable. JS said that even though they were higher than this year’s actual targets, they were achievable with the staff members in post for more than one year. The board agreed that the levels put forward were appropriate based upon these explanations. MB asked JS whether we could put together a savings proposal that will kick in mid-year. JS will produce a final budget with savings just in case of the bar relationship not being developed. It was agreed that the travel budget was a cause for concern and will continually be monitored by AFR committee. JSm stated that the lower travel costs would be in line with some structural changes and behavioural changes from staff and officers regarding inter campus travel. JSm said that it was vital that AFR committee conducted a quarterly reforecast in order to make sure that we were on track with this budget. JS agreed and this will be undertaken after October management accounts for the first period. MB asked whether we could look at trends in order to support financial planning in the future. JS agreed to meet with MB before he graduated to discuss this further. The board made some changes through the meeting and asked JS to submit a final budget over email for the board to approve before July 31st in order to meet year end times. JS updated the board on the block grant negotiations. He stated that the block grant will remain at the same level of £392,000 for 17/18. This is a success given the cuts that are happening in other university departments. JS highlighted that there is an outstanding proposal for funding through the campus life project. This will be revisited over the summer with the university. JS presented the university’s health and safety report into the SU, highlighting the results and pointing out areas for improvement. The board welcomed the report and stated that they were concerned about the work/life balance and made this a key priority from the report. JSm asked whether it was possible to include a mock risk assessment as part of the clubs and societies training. OW stated that it was important that we updated the risk register accordingly. JS pointed out that he will produce an action plan in order to action any improvements from this report. JSm noted to the committee that the date on the report was the date the audit was carried out and not the date the report was received by the union. JS presented some examples of other unions incorporation timelines following the agreement in principle to look at incorporating at the previous board meeting. The board felt that incorporation wasn’t necessary at this time and that it could be reviewed if necessary in future years. The board asked JS to get qualitative feedback from unions who had undertaken incorporation recently and come back to the next board with feedback. JS highlighted a proposal to look at developing a partnership with the university on finance and hr support and allow the union to benefit from established provision from the university in this area. JSm highlighted that it was important that the union/university relationship didn’t affect the independence of the union. It was felt by the board that it was a good idea in principle to utilise support from the university, provided there was a clear SLA in place. JS will review the provision with Counterculture as it was felt that there is still a requirement for external support, but at a reduced rate. JS will work with them and the university to ensure that we do not have any gaps in our finance provision. It was agreed that JS would ask Counterculture for an exhaustive list of the provision they supply in order to identify which areas we can consider to be done on a cheaper level. JS highlighted that the KPI’s were broadly positive, with a couple of areas to pick up within creative opportunities. This is due to already highlighted resource issues in this area. HR KPI’s were all met, bar the outstanding terms and conditions review. It was agreed that the income KPI’s will be looked at in order to make sure they are accurate for future years. JSm mentioned that it will be good to utilise the commentary to show progress of income targets at each review point and link that to the strategy. It was agreed that the risk register would be discussed and reviewed at AFR committee to ensure it is accurate for the new academic year. JS presented a template. It was agreed with a couple of changes. One was to state goals at the beginning of each report and to take the HR days requirement out. JS presented a new format on accounts, as highlighted as needed by the board. JSm stated it was important to get these right in terms of the new format for the new financial year in order to make the reports accurate. It was agreed that we will be reviewing the older format until this is corrected. JSm highlighted it would be good to look at how we produce our impact reporting and potentially look at organising a small event to present any impact report to key stakeholders. JS to look at planning and delivering this event. JS highlighted it is important to look at board effectiveness and that we should review this with the new board. It was agreed that the sabbs will be mentored by the external trustees. OW will mentor TM and JSm will mentor PD and RC until a new external trustee is on board to support this further. OW thanked MB on behalf of the board for his contribution to the board this year. EW welcomed and thanked everyone for their attendance. Apologies were received from Matthew Went, Josh Smith and Tyler Mainville. EW raised a possible conflict of interest around item 5.1. The board felt that there was no concern regarding conflict of interest on this issue. EW confirmed that the minutes were accurate. Board approved the minutes. JS commented that the communications strategy work is still ongoing and that external trustee recruitment has been delayed until the summer. All other actions were confirmed as being completed. JS presented a proposal to change the sabbatical officer start date to 15th June from the current 1st July start date. 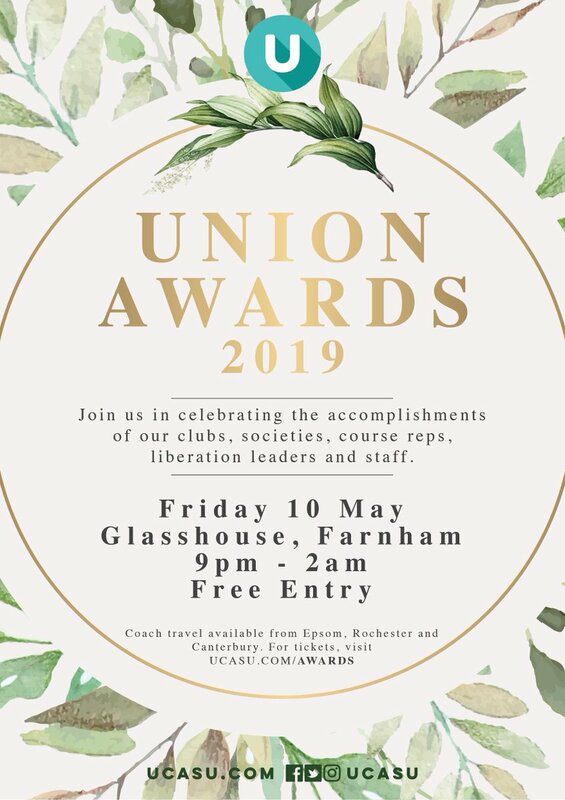 This will create an opportunity for increased training for any new officers during June and prepare them before any NUS training and the early Freshers start date that UCA has. The proposal was to pay a one off additional two weeks wages for this year, in order to move the dates accordingly for the new sabbs. This would not be repeated in future years once the calendars are synchronised. Questions were asked regarding what training would be provided. JS said there is a variety of new training for the sabbs, but that the additional two weeks would allow more focus on skills required for the role to complement meeting with union and university staff. JS highlighted that the work on graduation ceremonies might take some staff out, but this is only for two days of this time. It was agreed unanimously to pass this and implement it for the forthcoming sabbatical officers. JS presented a first draft of the budget for the next academic year. The budget currently shows a small surplus that will be increased by the proposed NUS affiliation fees being reduced. A paper will go to the next board detailing what these funds can be put towards. EW stated that it is important that the top up clubs and societies money is used to focus on other campuses as Farnham has the larger percentage of clubs and societies for the union. JS agreed and said that staff had already been working towards this. TM asked to clarify where the money for student staff was. JS said a new line has been created to reflect the referendum result. OW asked whether there can be a presentation from our Head of Business Development on Income plans for the next board meeting. A final copy of the budget for next year will come back to the final board meeting. JS asked the board to consider the strategic plan after the first year and comment upon any changes and amendments that the board might like to implement. EW said she would like to see campus based targets to key areas to reflect the four campuses. MB commented that a research piece to test the success of key aims from the strategy. It was agreed that the sabbs would go through strategic plan and suggest any amendments. It was also agreed to print copies for distribution to students in time for September. JS brought to the boards attention the timeline regarding renegotiation of the block grant, as per last year. There would be a meeting on May 31st with the acting Vice Chancellor and Director of Finance and then a paper to go to the University’s Employment and Finance Committee on June 22nd. JS will provide an update on any discussions at the next board meeting. JS presented a paper that looked at UCASU becoming an incorporated organisation. JS highlighted the costs and timeline and asked the board to consider the process going forward. It was agreed that Audit, Finance and Risk would look at incorporation as a standing item on future meetings. It was agreed in principle that it is a good move for the union to consider incorporation at this time. JS asked the board to consider the re appointment of our three external trustees, who each have completed a two year term and need to be reconfirmed at this meeting. OW stated that he will be only be able to continue for another 6 months, however will lead on the recruitment of two new external trustees. The board re confirmed Josh and Matthew for a further two years and Ollie for another 6 months in post. JS confirmed to the board that the elections were returned by NUS and confirmed to be a free and fair elections. JS commented that the elections had good turnout, especially when considering the sabbatical structure changes just a few weeks previously. It was agreed that a hybrid model would be considered for voting next year, in order to maximise turnout. JS presented the results of the staff satisfaction survey. JS highlighted that the results had been broadly positive, but highlighted some areas of improvement for the board to consider. This in particular around the large area of work life balance. It was agreed to feed these targets into the HR KPI’s, to be discussed at HR and Remuneration Committee. EW raised whether it was possible to produce a training cycle for staff, particularly around areas of liberation, values and political awareness. The board agreed provided that measures of this were fed into the competency framework. EW will send a list of ideas for training before she leaves office. MB asked whether it is possible to look at IIP. JS said that HR and Remuneration agreed to not go through IIP due to cost. JS presented a paper on behalf of the Head of Membership Engagement. This proposed taking our student volunteers away on a two day residential training event in September at Gilwell Park. The figure of £5000 has already been budgeted for, but needs board approval in line with the delegated authority to spend limits. The board wanted to see exact travel costs, however were happy to approve provided those costs were budgeted for. JS highlighted that the KPI’s were broadly positive, with a couple of areas to pick up within creative opportunities. This is due to already highlighted resource issues in this area. HR KPI’s were all met, bar the outstanding terms and conditions review. It was agreed that the income KPI’s will be looked at in order to make sure they are accurate for future years. Risk register was agreed, although the board asked to consider an increase in risk based upon income. JS would amend for future meetings. It was noted that our current Events Coordinator was leaving after 9 months. Recruitment for this role would commence once a clear block grant proposal was produced. The aim is to have a replacement in post by 1st August. Sabb reports were taken as read. It was agreed to produce a template for future sabb reports to ensure consistency and make them easier to read. OW thanked JS for this and said it highlighted the need to reduce the amount of budget codes being used, as there were quite a lot already. JS said this will be looked at over the summer within the finance team. These were taken as read and no additional comments made. JS highlighted that his appraisal was due to happen. OW agreed that he would undertake this again. EW stated that the new Vice Chancellor is beginning w/c 5th June. EW also stated that she would like the board to review staff wages again, in order to reflect the work they do going forward. She noted that she was happy with the agreed sabbatical wages, but that staff wages still needed reviewing. It was agreed to circulate some dates for June and July for the last board. This will most likely be with the new sabbatical officers in post. Apologies were received from Matthew Went and Jess Wills. EW stated that item 5.3 was felt to be in conflict with staff and potentially Sabbatical Trustees attending. It was agreed that MF would be asked to leave the meeting for item 5.3 and possibly Sabbatical Trustees also. Josh Smith reported two amendments to the minutes. 5.c fourth paragraph, final line, ‘income’ should read ‘reserves’. Page 4, second line, ‘April 2018’ should read ‘April 2019’. Subject to these two amendments the minutes were agreed. Changes to delegated levels of approval for purchasing has been communicated to staff. Budget recording training for managers still to happen but is currently being arranged. Investment Strategy – This is currently ongoing. Pension Provision – Noted that we are already compliant and the date should have read 2019 not 2018.
Review of current expenses policy – HR and Remuneration Committee dealing with this. Been delayed due to staff illness. HR and Remuneration Committee – First meeting held on 10 November. The Audited Accounts had been submitted by Menzies. It was noted that this was Menzies final year before changing to new auditors in 2017. JS gave a brief overview of the accounts. JSm explained the difference between restricted and unrestricted funds in relation to Clubs & Socs funding. OW highlighted an amendment to page 1, list of Trustees. Under student trustees change 1 July 2015 to 1 July 2016. In response to a question regarding the implications of the union becoming a registered charity during the financial year, it was agreed this should be checked with Menzies. JSm said there was a need for all Trustees to sign a ‘letter of declaration’ to agree the accounts. JS agreed to organise. Subject to the amendment to the Trustee appointment dates, the Audited Accounts were agreed. JS said they would be submitted in due course to the Charity Commission for website publication. The recent resignation of the Epsom Campus Officer, Silviu Doroftei was noted. A paper was presented setting out proposals to cover the role until end of June 2017. It was proposed a by-election be held early in the new year for a part-time officer and in addition, the current Democracy Coordinator’s hours be increase from four to five days a week. It was felt there was enough staff and Campus Exec students to support a part-time officer. It was noted that the outlined costs did not include training. MB asked if job sharing could be considered. After a lengthy discussion it was agreed to support the proposals and go forward with an election for a part-time officer who will also be a Trustee. It was further agreed that formal guidelines be compiled to give guidance for a similar situation occurring in the future. Myra Falkner left the meeting and Jamie Stratton agreed to minute this Confidential item. A draft document was presented for consideration. It was confirmed UCA HR department have approved the content. JSm highlighted that Audit, Finance and Risk Committee are currently responsible for Health and Safety matters, it was therefore agreed to add to the Agenda for the next meeting of AF&R committee. It was noted the document contained reference to Kent Union. JS agreed to amend. TB raised a question regarding Stress Management Training. It was suggested the list of proposed training workshops planned by UCA be requested for union staff to attend. JS said this item had been delayed. It will now go to the HR and Remuneration committee in January before bringing to the board. JS presented a paper regarding a timeline for the reduction of services provided by Counterculture. It was proposed to reduce their service by July 2017 and a timeline set out the planned reduction. It was further proposed to reduce the professional and legal fees budget for 2017-2018 to £5000. There was a short discussion regarding staff training and the production of Management Accounts in-house. It was noted that finance training will be provided free of charge by the University of West London for student union managers. The paper was then accepted and approved by the board. JS said there was provision in the by-laws to appoint a fourth external trustee. JS further explained the recruitment procedure for external trustees. It was suggested that recruitment of a female with business development experience be encouraged. OW said he would assist with the advert text. A short list would go to the HR & Remuneration Committee before final agreement by Trustee Board. It was agreed the recruitment process be instigated as soon as possible. It was noted a number of areas were doing well including Clubs & Socs events. It was felt there was a lack of creative opportunities so this needed driving. EW asked if the changes previously agreed at HR & Remuneration committee had been changed but it was still to be amended. Colour coding the document was agreed. EW highlighted that the KPIs did not represent each individual campus and felt these need to be measured in relation to the strategy. It was agreed that there was a need to break down the KPIs for each campus. It was further agreed that the document be updated to reflect the previously agreed changes. It was noted that lack of Finance training had been added. The unknown replacement for the Vice Chancellor’s position was felt to be a considered risk. Referring to F13, OW commented this seemed hard on ourselves. EW felt a further risk with the increasing student population was not being reflected with an increase in infrastructure support such as accommodation available. This was agreed. Nothing further was reported having discussed Epsom Campus Officer earlier in the meeting. These were taken as read without comment. JS presented his report. It was noted that a new communications strategy will be presented at a future board. NSS was briefly discussed. EW gave background details regarding the referendum and the national boycott proposal. EW agreed to report back to the board with any further developments. Graduation merchandise will be introduced at the end of the year. Increased income from Clubs & Societies and savings from salaries were noted. OW commented on the excellent increase in Freshers’ income. JS said he was in discussion with UCA regarding problems with the ‘bar’ relationship. Referring to Commercial Services JSm suggested changing this to gross profit percentage and also strip grant out to separate onto a different line. These were noted. It was highlighted that the decision regarding replacement of the Epsom Campus Officer differed from that discussed at HR & Remuneration Committee. Again referring to the Risk Register, EW felt equal provision for students on each campus was important. OW agreed it could be seen as a legal risk that we are offering different experiences on each campus. It was agreed to add this to both the Risk Register and KPIs. JS said he will approach UCA regarding increasing the block grant. EW felt the first aim needed to be individual campus improvement followed by ensuring students have the same experience on each campus. OW suggested a statement of minimum provision standard for each campus. Reserves – A short discussion regarding the use of the reserve for rebrand and Clubs and Socs. It was felt some £66,000 remained to be allocated over the next year. It was suggested a timeline for expenditure each year. It was noted that some expenditure was to assist with increasing income. A business case for spending was agreed. A short discussion took place with regard to interest income from the reserves held by UCA. JS said he had raised this with the Director of Finance but felt unable to push the matter further. The next meeting will be held at in Kent on Thursday 6 April 2017 time to be confirmed. Further date Thursday 8 June location and time to be confirmed. EW introduced the meeting. EW introduced new members of the board to the committee. EW also reminded trustees that all discussions during this meeting is confidential and should not be discussed with anyone outside of this meeting. EW declared that the sabbaticals have a conflict of interest regarding paper 5.2. EW would pass the chair of the meeting to OW at this point. JS discussed the action list. Actions regarding the strategic plan and the no platform task group were outstanding but all others had been completed. JSm presented a paper following on from his visit on 8th September as a trustee prior to the year end audit being performed by Menzies. JSm stressed that his visit was to follow up on the restructure and to monitor progress around the key recommendations from CounterCulture’s visit in June and not to audit the organisation. JSm presented some findings and recommendations that would help improve processes and ensure that there is greater efficiency within the union’s finance procedures. JS went through the recommendations and commented that there had already been some progress against some of the recommendations. JS commented that all of these recommendations should be enacted by Christmas and can be reported at the December board meeting. JS to complete all actions and report back to December board any outstanding issues. JSm commented that he is very happy with the progress that has been made over the summer and that staff seem very happy with working at UCASU. The board passed on their thanks to JSm for taking time to visit the organisation. JS then went onto to add that the audit was performed by Menzies during Freshers week. He added that it had been very smooth and there had been no outstanding issues. JSm commented that there is still a discussion regarding the fee that is being proposed and this being discussed with Menzies. JS presented a paper detailing a new procedure for how transactions and payments are being authorised within budget lines and budgeted spend. The board agreed that this is the right levels that can be authorised by spending but that it is important for managers to be trained in recording budgets and to make sure that this is communicated to all staff. JS to ensure budget recording training for Managers. JS stated that all PO’s would still have to be countersigned by budget holders so they will be responsible for recording budgetary spends, particularly by coordinators. JS has said that he will communicate the changes to all staff by the end of this week. JS and JSm started a discussion regarding the use of the current reserves, following on from the reserves policy that was agreed in the March trustee board meeting. JS commented that following discussions with the university, the reserves have now been transferred into the union’s bank accounts. This was completed on July 31st 2016. The board then had a long discussion regarding what the best use of the reserves is. It was agreed that JS would look at an investment strategy regarding the best use of the reserves (3 months operating costs in line with the union’s reserves policy) and that the remaining money would be invested in projects to benefit the union and the student experience at UCA. It was agreed that JS and the sabbatical trustees would work on a paper that can be discussed over email regarding what key projects the remaining income can be used for. JS presented a paper regarding the changes to job descriptions to ensure that all of the duties of the finance function were being picked up. The board agreed that these were the right duties and that all job descriptions should be updated to reflect these changes. JS to update the job descriptions to reflect the changes. JS presented a paper regarding the ongoing finance support from Counterculture. JS presented an option to continue counterculture’s support for at least 2 days per month until July 2017. The board raised concerns regarding how much we needed to use Counterculture and asked for a timeline detailing how much support we would need. The board also raised that we will still want to use them in the future and to make sure that the support is not stopped prematurely. JS will discuss future provision with Counterculture and present a timeline to December’s board meeting. JS presented a paper regarding the union’s current pension provision and highlighted that from April 2018, the total contribution needs to be raised to 8% of an employee’s salary. Currently the provision is 5%, which is met by the union entirely and no contribution is met by the employee. The board emphasised that they would like to, if possible, to look at the union contributing the full 8% to each employee’s pension. JS commented that based on current calculations, this would cost around £6,500 extra to the organisation. The board said JS should look at building this cost into next year’s budget. EW handed the chairing of the meeting to OW at this point and presented a paper on behalf the sabbatical officer trustees regarding an increase into the sabbatical officers’ salaries. EW explained that currently the sabbatical officer wage was lower than the average wage around the country and that sabbaticals were regularly out of pocket through travelling and having to spend money on work related activities. The board asked whether there had been any research conducted into this. EW explained that salaries had been benchmarked and that is where this proposal came from. JS highlighted to the board that the budget was available to fund this proposal. The board agreed that there was a need for ensuring that sabbatical officers are probably remunerated. However, the board was concerned regarding the bonus proposal and highlighted that this may contravene charity law and guidance. The board was also concerned that whilst the proposal was understandable, there was concern about the rationale within the paper. The board asked the sabbaticals and JS to go back and consider the rationale behind the paper, as well as separating the proposal for 1% Cost of Living increase and staff uplifts. The board also expressed concern regarding the current expenses policy and asked JS to review this policy and come back with recommendations. JS highlighted to the board that they need to agree who is on the new committee. This was agreed by the board. JS to ensure meetings are organised. JS presented the KPI Grid’s for the board to monitor strategy performance for this year. The board agreed that this was the right way to measure KPI’s. JS pointed out some initial highlights already in the first few weeks. JS highlighted that there had been new appointments over the summer. Andy Squire has been appointed as Head of Business Development, with his communications coordinator role being filled by Charlotte Spencer. Kirsty Campbell has been appointed as Events and Commercial Activities Coordinator and Sophie Jackson has been appointed into the Democracy Coordinator role. The w/c 26th September is the first week a full staff team has been in post since mid May. EW presented the sabbatical officers reports and asked for any questions. JSm asked whether a template would be easier for the reports in future. This was agreed and JSm would produce a template for the board in future meetings. JS highlighted that we have won the NUS Small and Specialist Students’ Union of the Year award in July. The board passed on their thanks to everyone within the union who made this possible. JS presented a draft set of management accounts for year end. JSm commented that he would like to see a commentary before approving them. JS said that this can be produced in time for the next Audit, Finance and Risk Committee. It was also agreed that JSm would provide training to the Sabbatical Trustees regarding the Management Accounts and Budgets. JS stated to the board that he will be taken 2 weeks paternity leave in February.